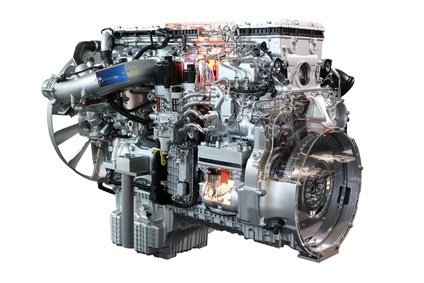 Heavy vehicle diesel mechanics play an essential role in the construction, rail transportation, and farming industries. Heavy vehicle equipment, such as cranes, bulldozers, and farm machinery, is a crucial component to moving construction materials, tilling the land, lifting beams, and digging up earth for the development and construction industries. With these industries needing the heavy vehicles maintained at optimal running capacity, diesel mechanics have a variety of job opportunities in this career specialization. Depending on the company, diesel mechanics perform various job duties that range from inspection and maintenance to repair and testing. Mechanics repair and maintain diesel-powered engines, electrical systems, and hydraulic systems on agricultural, construction, industrial, and rail vehicles, ensuring the safety and performance of brakes, fuel lines, and transmissions on diesel-powered vehicles. Reading and understanding heavy vehicle operating manuals, drawings, and blueprints. Performing scheduled maintenance on various parts. Inspecting and repairing worn and defective parts, including pistons, gears, and bearings. Diagnosing malfunctions with computerized equipment. Testing and overhauling major vehicle components, including engines, electrical systems, and hydraulics. Disassembling and reassembling heavy vehicle components and equipment. Because of the variety of heavy equipment, mechanical systems, and electrical systems needed on the worksite, diesel mechanics utilize diagnostic computers, such as dynamometers and tachometers, to help identify malfunctions, allowing them to make the proper adjustments and repairs. Mechanics can also use hand tools when repairing heavy vehicles, including pliers, screwdrivers, and wrenches. From repairing farm equipment to maintaining rail cars, diesel mechanics can work in various sectors of this industry. According to the U.S. Bureau of Labor Statistics (BLS), approximately 179,200 heavy vehicle service technicians are employed across the United States, and job growth is expected to provide an additional 28,200 jobs by 2020 for potential candidates. Farm Equipment Mechanics: Diesel mechanics focus on the repair and maintenance of consumer-grade garden and lawn tractors as well as diesel-powered farm equipment, including harvesters and tractors. Most diesel mechanics in this sector work for dealer repair facilities. Rail Car Repairers: Specializing in railroad locomotive, rolling stock, and subway car repair, diesel mechanics work at railroads, rail car manufacturers, and private and public transit companies. Mobile Heavy Equipment Diesel Mechanics: From bulldozers and cranes to graders and excavators, diesel mechanics specialize in the repair and maintenance of surface mining and construction equipment. Some mechanics work for distribution shops, equipment wholesale facilities, construction companies, and mining companies; whereas, others work on tanks and military equipment for the federal government. Although many employers do not require diesel mechanics to earn special certification to work in this field, most prefer hiring those who do because certification demonstrates a thorough knowledge and competence of mechanical inspection and repair. Individuals can earn their certification through the National Institute for Automotive Service Excellence (ASE). The ASE allows diesel mechanics to obtain certification as a master heavy truck technician or in specific areas of expertise, such as diesel engines, brakes, drivetrains, suspensions, steering, and electrical systems. Each certification requires mechanics to have a minimum of two years of work experience as well as pass the written examination. Individuals who have only one year of experience can substitute formal education for one year of experience. In order to maintain their certification, diesel mechanics need to retest every five years to make sure they are up-to-date with the latest technology. Career opportunities for those who have earned a degree in diesel technology and certification in heavy vehicle equipment are numerous in the mechanic industry. A 2010 report issued by the BLS shows that job opportunities in this sector are expected to increase by 16 percent between the years 2010 and 2020, providing an additional 28,200 jobs in this field. Most heavy vehicle diesel mechanics work full time, evenings, and weekends, with overtime hours often available in this industry. Those who work on farm equipment have varying work schedules, depending on the time of year. During spring and harvest season, diesel mechanics can work 12 hours a day, six to seven days a week; whereas, during the slow winter months, mechanics may work less than 40 hours a week. With so many career opportunities available in the mechanic industry, earning a degree in diesel technology can be a rewarding career choice. Individuals who wish to specialize in heavy vehicle and mobile equipment can earn special certification through the ASE, helping them obtain the necessary training and education in order to succeed in their field of expertise.